In a two bedroom end terrace home in Greystone Passage, Dudley, England lived the Jackson family with Mother Annie, Daddy Percy, big sister Beryl and younger sister Lorraine. Lorraine loved her life growing up. She loved to watch her mother serve neighbors and friends in their little front shop. She loved to watch as her Mother built the fruit display in the window or see the different vegetables in boxes on the floor. There were even sweets on a shelf in a jar. Their home was always filled with good food to eat. Lorraine’s Daddy was a tailor and made their clothes. As she would say, they were well dressed and well fed. As a little girl Lorraine loved to go with her Daddy up the street to the allotment, he carrying his keys and bucket of water. Percy loved it when Lorraine came to the garden and even let Lorraine help pollinate the tomatoes in his greenhouse. Her Daddy had a dry sense of humour and many a time would have them dying with laughter. ‘Oh stop it Perce!’ her mother would say. They loved to laugh. Lorraine and Beryl shared a bed in the second bedroom. It was cozy. The privy was outside and once a week they went to a relatives house for a bath. If they were naughty they were made to sit on the stairwell in the dark. And if they were ill they were taken to Mother and Daddy’s bed and cared for. It was comforting to Lorraine there in her parents room. She felt safe and loved and she especially loved it when her Mother sprayed lavender water in the bedroom. Lorraine loved the smell of lavender. Lorraine looked up to her big sister Beryl. Although Beryl was four years her elder she was her best friend and would remain so their whole lives. 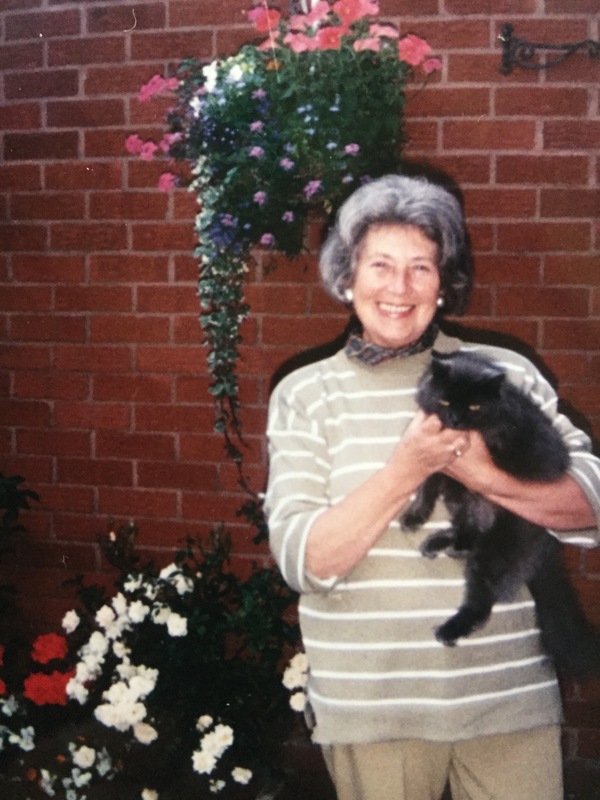 Beryl was beautiful, funny and kind and had lots of friends and admirers. Lorraine loved to tag along with Beryl and her friends. When the war came Beryl went off to work in the land army. Later Beryl married Fred and moved far north to a distant land called Yorkshire. Still they stayed in touch. They would call one another on the phone, send each other postcards and when time allowed visit one another and their growing families. Beryl and Fred now had two boys Nicholas and Jeremy. 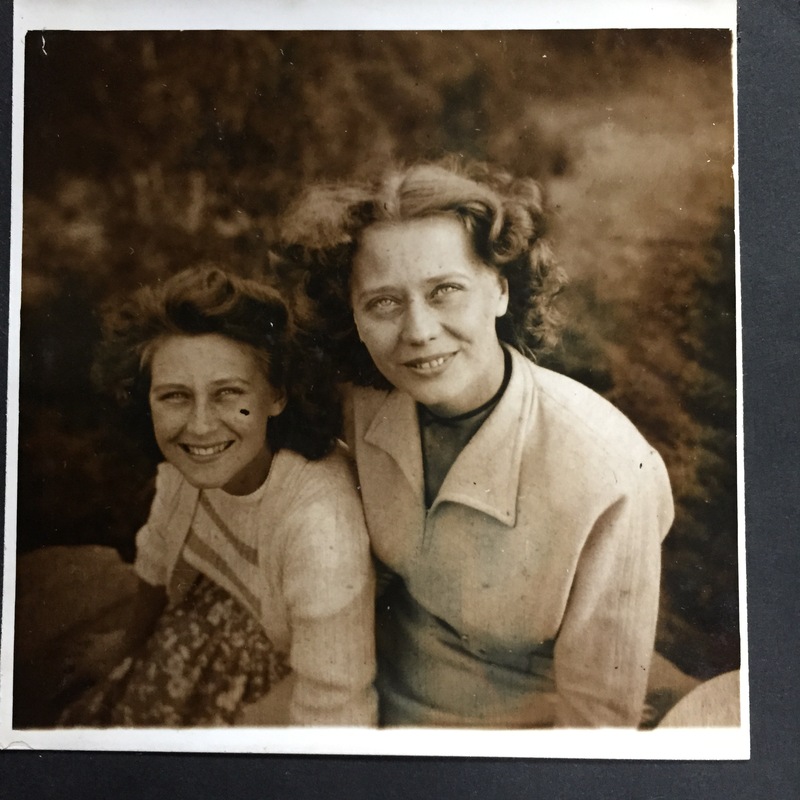 Beryl and Lorraine loved to laugh and sometimes they would laugh until it hurt and tears were streaming down their faces. Lorraine became a beautiful young lady and met a lovely lad called Geoff at the local dance one night. He asked her to dance. 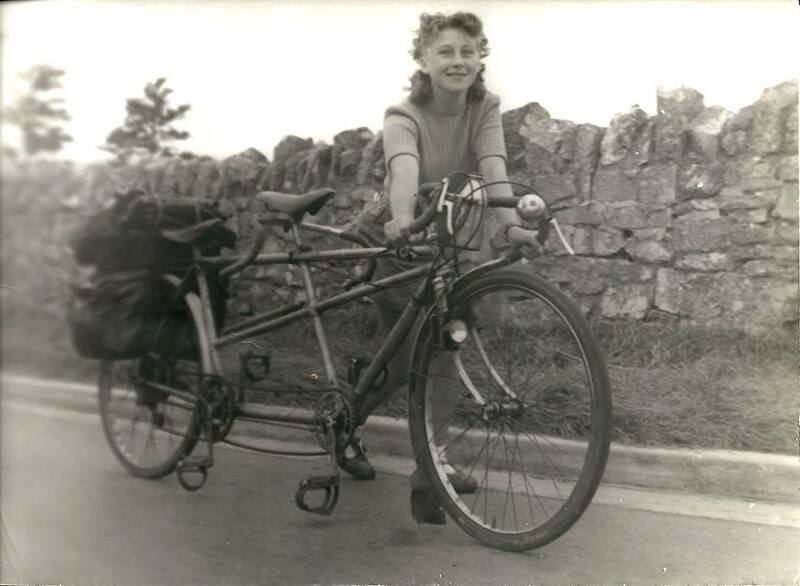 From that day on they spent many hours together cycling all over the country on a tandem. Lorraine loved sports. She was a great netball player and swimmer. With Geoff she enjoyed cycling, rowing boats and climbing trees. Geoff loved to take pictures and in his pictures was a beautiful girl full of life and fun, love and adventure. Before long Geoff and Lorraine fell in love and were married. 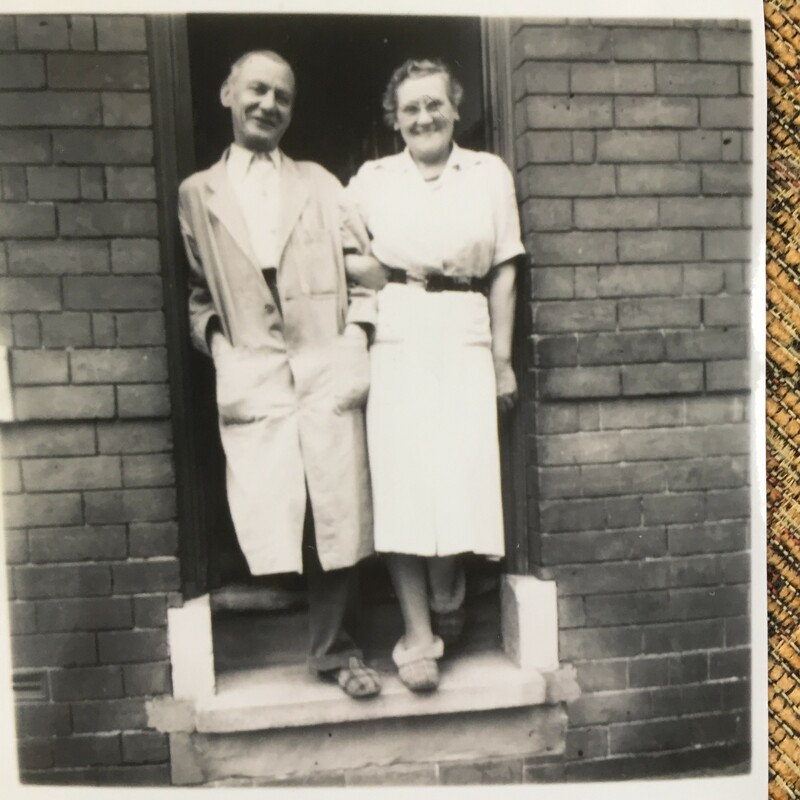 First they lived in a room at The Gables, Geoff’s family’s home and later made a life together working hard in the little riverside shop and then The Hop Pole pub at Bewdley. The years rolled by and then, one day life changed. Louise was born. Becoming a parent changed everything. Lorraine did not know how much this adorable big eyed baby girl would change her and challenge her but she held her in her arms and loved her instantly. Lorraine soon learned that Louise was born with special needs that would require constant, vigilant care her whole life long. But God knew that Lorraine would have a heart big enough and strong enough to give all the love Louise needed and all the strength it would take to keep going, to be a champion for a good life for Lou. 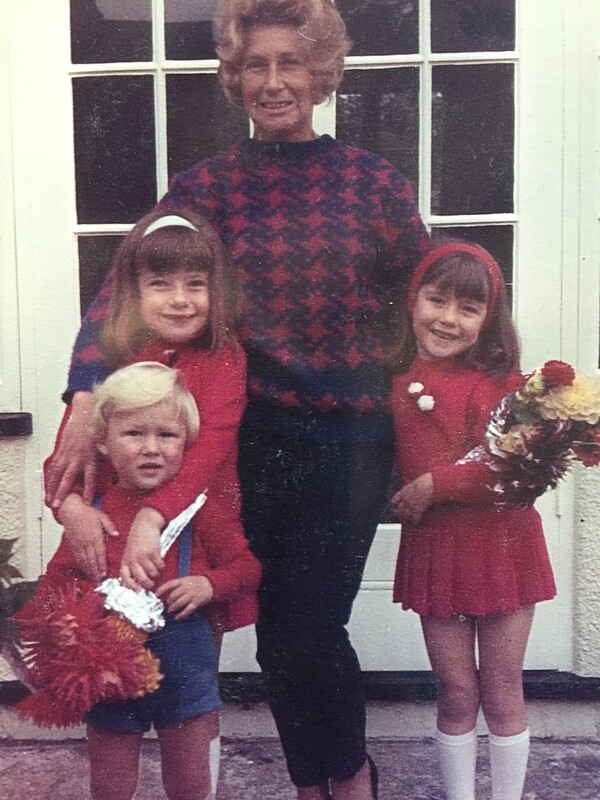 A few years later Lorraine and Geoff welcomed Teresa and Nigel and Louise became a big sister to them. Family was everything to Lorraine. She loved them dearly and lived her life for them. Lorraine’s heart was heavy when she realized that Louise would have to go away to live. She searched carefully for the right place. When Louise was gone during the week she thought about her and worried if she felt loved and cared for. She missed her deeply. Lorraine taught her children to be good and kind and polite. She taught them to look for the good in people and to be hopeful and optimistic. She taught them that music and laughter are great medicine and that family are not only born to you but sometimes are not even related to you. And she taught them to never go outside with wet hair! 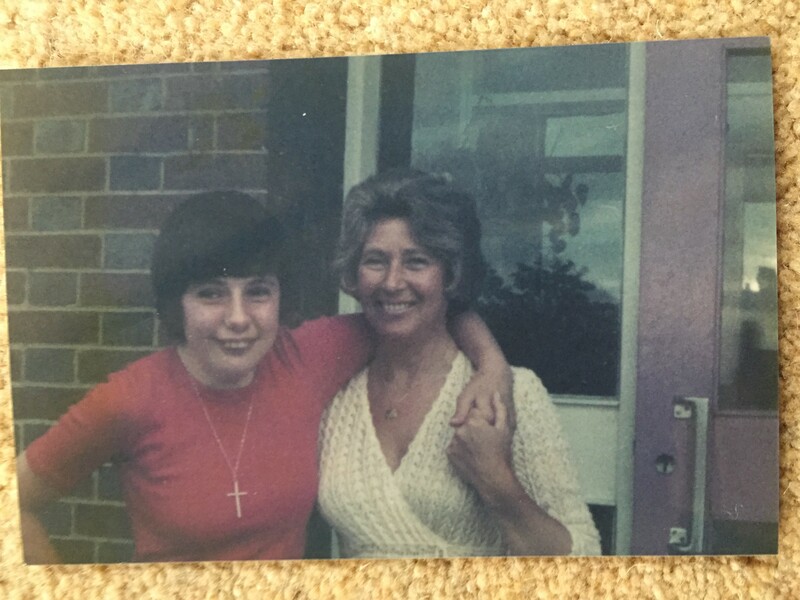 Lorraine filled the home with love and discipline with song and laughter, with smells of roasts on Sundays and smells of perfume and hairspray. Lorraine loved to be her best and look her best. She would squeeze her feet into those pointy stiletto shoes for a night out only to come home with tired achy feet and tell her little girl ‘Dont ever do this to your feet!’ And the little girl listened and she took good care of her feet. Lorraine loved her ear rings and scarves, her suits and her sweater top shirts. Lorraine had a fashionista sense. 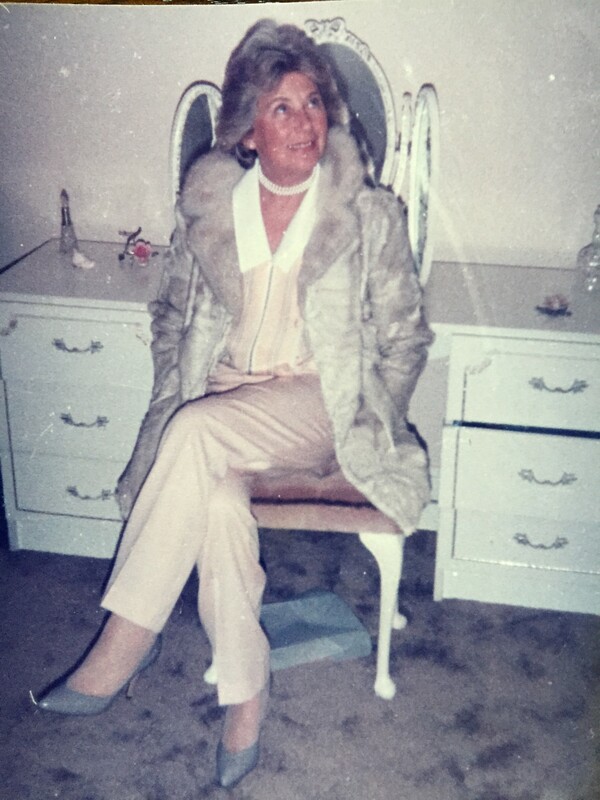 Sometimes people thought she looked like a model, and some would say she was a real lady or classy but under it all she was still just plain ol’ Lorraine. Lorraine believed in her children. She encouraged them and listened to them. Whether they were near or far they were always close to her heart. Lorraine taught them every day about sacrifice and how to love and forgive but she also taught them that sometimes love would say no. Although Lorraine never went to Church she believed in God, she believed even though she saw bad things happened to good people. When her Mother and Daddy left this earth she would keep pictures of them near and go and talk to them. She knew they had gone to a better world and knew she would go there one day too and see them again. This gave her strength and she continued to feel their love in her life. Lorraine loved the outdoors. She loved flowers, especially daisies, she loved to watch and feed the birds that came to her garden. And she especially loved cats. As sometimes happen Lorraine and Geoff’s happiness came to and end and their lives separated but they would still remain good friends. Lorraine in time would also come to love, respect and deeply appreciate Geoff’s new wife Sue for many reasons but especially because she too loved Louise and wanted the best for her. Together Lorraine and Geoff and Sue continued to love Louise and care for her. 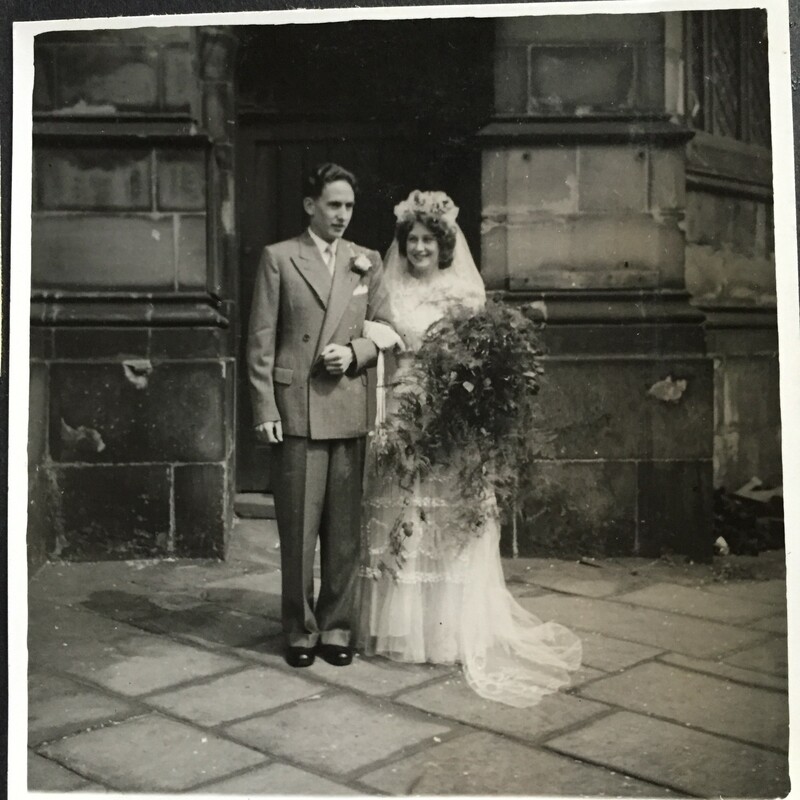 Time marched on and a few years later Lorraine found love and happiness with Ted. Ted and Helen were now included in her family circle and all of Ted’s family. In time Steve, Bethany and Ryan joined the family. And Lorraine loved them all. Many years passed by. Teresa and Nigel were grown and gone living far away. Lorraine found the joy of grandchildren, Ryan and Bethany who lived far away in London and Mitch, Anie, Elliott, Brooke and Brieya who lived so far away in America. Any time with them was precious. When she was with them she would get down on her knees at their eye level and play with them. Her eyes would sparkle as she watched them and you might hear her give a secret chuckle at something they might say. Lorraine delighted in them. Together they would put milk out for the cat or sneakily hide Grandpa’s stick, the one he used to chase the squirrels away. When the grandchildren were far away she would send them packages of socks, tea towels and random things from here and there. Sometimes the packages came with books filled with fairies and unicorns and ABCs or even poems. Lorraine loved looking for beautiful cards when she was shopping. She would send the grandchildren birthday cards and get well cards and thinking about you cards and congratulation cards. Inside these cards she would squeeze some extra love and good cheer. At Christmas she would send them Christmas crackers and Christmas decorations for their tree and Christmas cards with robins on them. When the grandchildren grew older and came to visit she taught them things like how to iron and knit, how to swim and even how to take care of their nails and teeth but especially how to love little furry things. She also taught them to be fair minded and to love unconditionally. She would make them sandwiches with the good crunchy bread and good cheese and she’d tuck a heaping portion of love into each sandwich for good measure. Sometimes she made salmon sandwiches too. She only fed them cereal with the good brown sugar. Her house flowed with an endless supply of squash and biscuits and happy sounds of children. She would take them to the Black Country Museum and tell them what life had been like when she was a little girl and they would eat the best fish and chips in town cooked the old fashioned way. 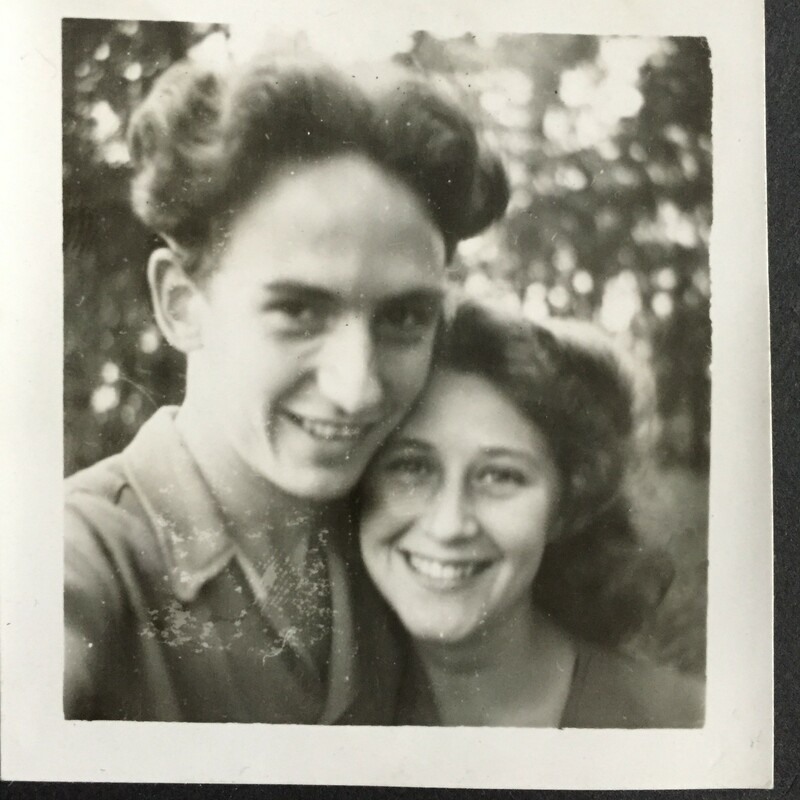 Lorraine loved and cared for her grandchildren unconditionally and the grandchildren loved her back. 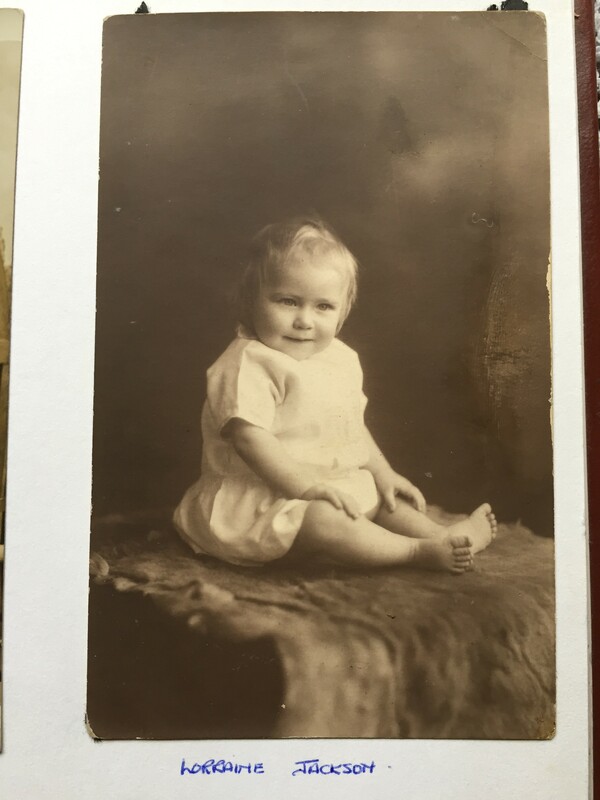 Now although the grandchildren don’t see her they each of them carry a little of Lorraine with them and will pass that on to their children too. Lorraine’s grand children now married. She welcomed Amber, Will, Miranda, Trevor and Ryan to her family circle. Now she was a GREAT GRANDMA and had great grandchildren: Emma and Kenzie delighted her when they came to visit her all the way from America. The others she met on Skype, Adelyn and Levi, Raylee and Odie, Kanden, Bridger and Pierce and the newest baby Madeline Camille she was able to see in a picture. She loved them all. Lorraine loved her friends. 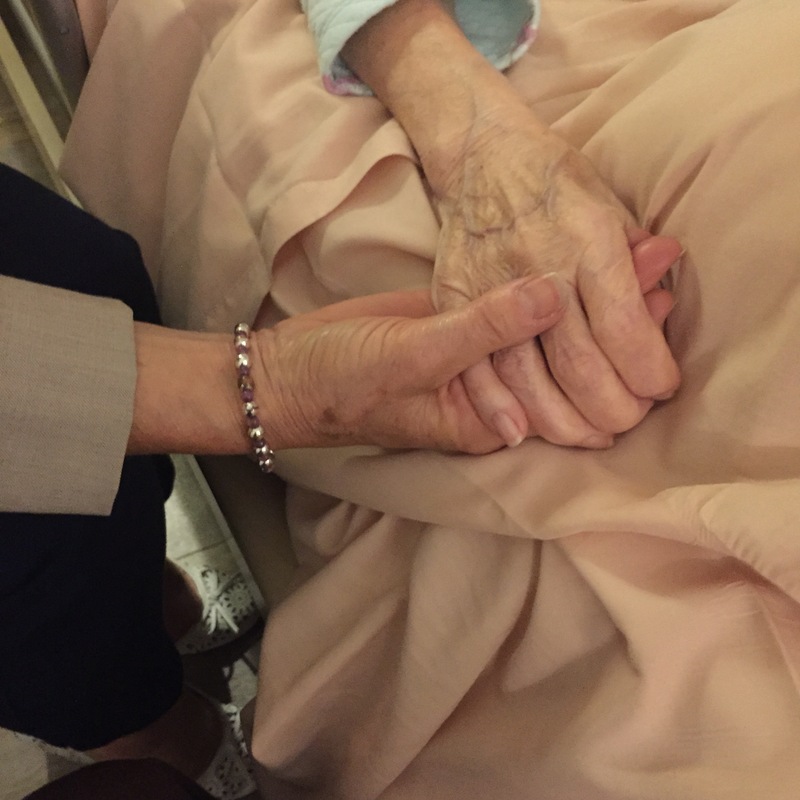 Over the years she would call them, do things with them, send them cards and visit them. Lorraine especially loved to go to the garden centers with them, she loved to look at all the plants and maybe pick out a pretty card to send to the grandchildren. Lorraine was a good listener and her friends loved that. Often Lorraine would sit at the dining table looking out the window at the beautiful garden that Ted had made and think about the many good things in her life. Then one day Lorraine was too sick to stay at home anymore and she went to a place called Mary Stevens Hospice, or really a Heaven On Earth but Lorriane didn’t know that till she passed through the doors. Then a miracle happened. All of Lorraine’s worries and cares melted away. She was so happy and carefree, almost like a little girl again. Teresa and Nigel jumped on airplanes and were by Lorraine’s side in an instant because they knew that she never wanted to be alone. And so they stayed day and night, night and day, taking turns. Many nurses and volunteers cared for Lorraine. Lorraine called them her angels. One nurse even brought lavender from her garden for her. They would move her gently from side to side, bathe her, help care for every need. They brushed her teeth and combed her hair and even sprayed lavender water for her. As Lorraine lay there in her bed she would often talk about being back in Greystone passage and her Mother and Daddy and sister were there too. She remembered being ill and laying in her parents bed and then she would have Teresa or Nigel spray the lavender water and she would smile. Lorraine’s smile lit up the room. Some nurses were overheard saying that if they were having a bad day they would go to ‘Laineys’ room because it was so peaceful. Lorraine would sometimes go to sleep and smile. Teresa and Nigel wondered what she was smiling at but inwardly they knew she was drifting between this world and the next. One night she opened her eyes and said ‘flying’. Another time she opened her eyes and said ‘I’ve connected. On her wall in her little room filled with love hung pictures of family who were too far away to visit. It made her so happy to have their pictures there and she felt their love and prayers. Even though Lorraine was not well she made sure that every family member or friend who came to visit left with a golden memory of her. She would make them laugh with her quick wit and funny expressions. She would give them words of wisdom and let them hold her hand and kiss her. She wanted to see everyone, just one last time to let them know that she loved them. And she did. Lorraine filled those last days with as much joy and living as her little body could hold. She even celebrated her 87th birthday! Nigel picked flowers from the garden and heather from Kinver Edge and brought them to her. She loved flowers. All the family and friends she loved filled her little room. They sang to her and gave her a cake. She opened her cards and Teresa read them to her one by one. She beamed. Light shined through her eyes. She had never been so happy. 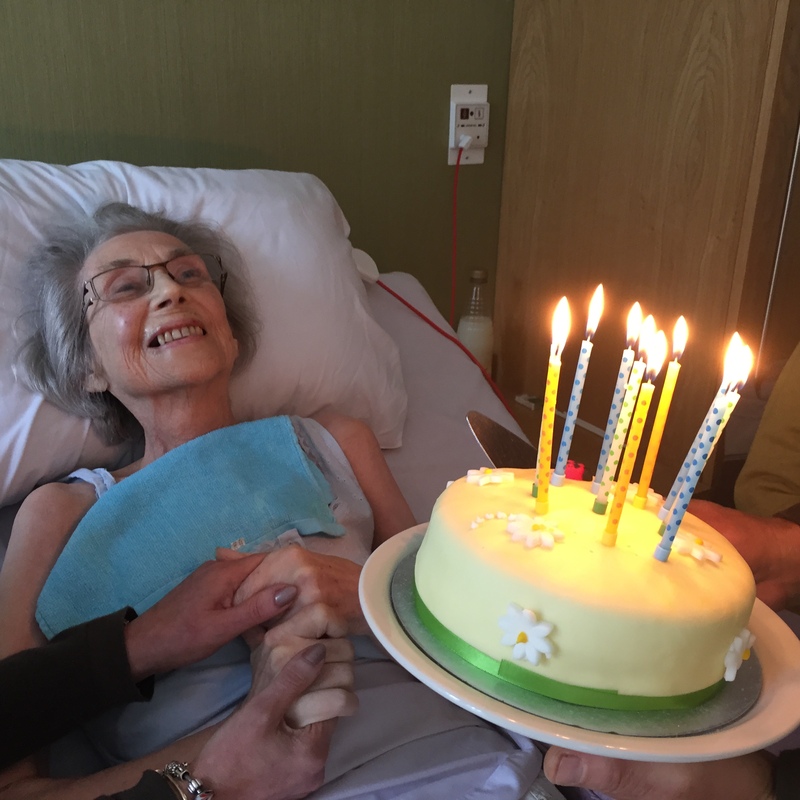 Even the nurses had their own cake for her and sang to her. Louise who lived far away sent her beautiful flowers too sent with her love. Lorraine was happy. She loved everyone so much that now there wasn’t enough room left in her body for Lorraine to stay there. So when all the people had been seen, all the words had been said, all the hugs and kisses had been given, Lorraine knew it was time to leave. She was sad and it was hard for her to go. But family told her it was time and that her Mother and Daddy were waiting for her and that Beryl was so excited she was jumping up and down and dancing! So Lorraine thought about her Mother and Daddy and sister in a better world and beautiful garden and found herself there. 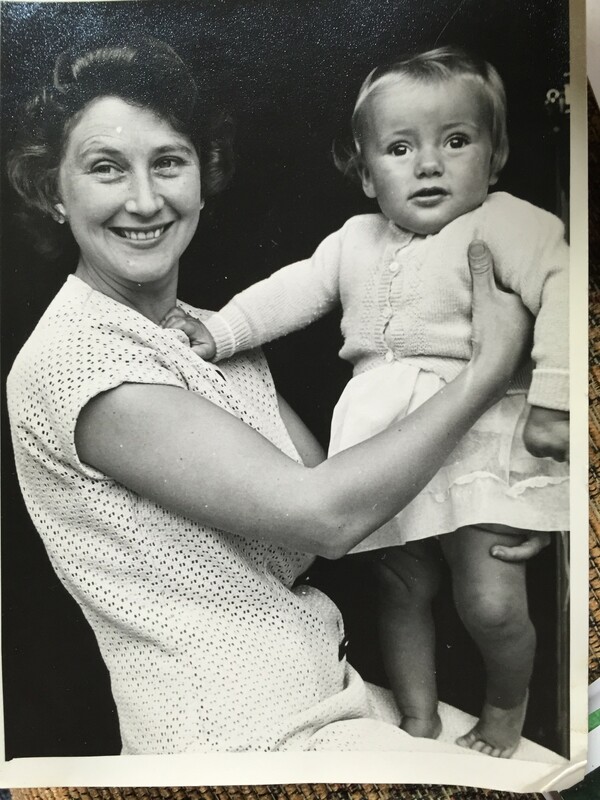 Lorraine’s family and friends were sad that they could not see and touch her anymore but they knew Lorraine was happy and at peace and full of life still and this gave them a feeling of supreme comfort and incredible joy. They thought about Lorraine and smiled. Sometimes they even talked out loud to Lorraine. They even imagined that she could be watching over them helping them or just visiting them and listening. Because in the end, nothing worthwhile is lost. The love goes on and on and one day they knew they would see Lorraine again. Until then her family and friends would continue to love her and whenever they saw daisies or robins on Christmas cards or small furry animals or smelled lavender, they especially thought of her and every moment in between. Because they knew now how much Lorraine had always been a part of them. This earth was a better place with Lorraine on it now heaven is a better place with her there. And if her family and friends could take a peek into heaven I think there just might be a whole lot of laughter going on there now. Where Have I Been This Past Year?! The Thick Of Thin Things ~ My Love/Hate Relationship With Technology!